Souvenir Source is your one-stop for the largest selection of custom designed souvenirs, short run imprints, gifts and novelties in the souvenir industry. 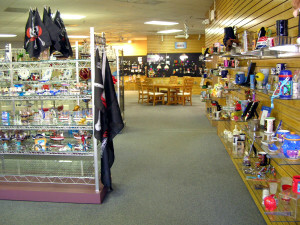 Souvenir Source is your one-stop for the largest selection of custom designed souvenirs, short run imprints, gifts and novelties. As a spinoff of the retail division of Nanco-Nancy Sales, we pride ourselves on being your home for all of your souvenir needs. Our experienced sales people and creative artists work diligently to create products that are unique and that sell! We proudly continue our strategy of being a major creative force in the tourist business. We are proud of the many customers that consider and trust us to be their go to supplier. In our overseas custom programs, we work with customers thru the many phases of importing custom product: sourcing, creative development, manufacturer and prompt delivery. We offer over 1500 items that can be designed to fit your needs. Our in-house short run imprint program combines the success of our custom program with our strong buying power overseas. Our products are creatively designed, competitively priced and best of all you can buy them in case lots. For our nautical gift and evergreen novelties, we offer the most tried and true items that are proven sellers. We use the many talents of our creative team to source and develop unique offerings that have demonstrated consistent retail success not only in resort locations but also themed stores as well. Copyright © 2018 Souvenir Source LLC. All Rights Reserved.